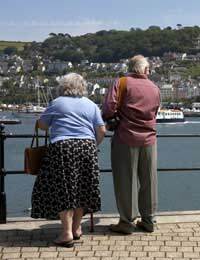 Home > Retirement Accommodation > Retirement Communities: Are They Right for You? If you still have a good degree of mobility and wouldn't require the around-the-clock care of a retirement care home, you may want to consider living in a retirement village at some point. As the name suggests, a retirement community is specifically designed for people in and around retirement age – usually from the age of fifty-five. There will typically be on-site recreational areas that are not present in retirement homes, such as clubhouses. While they are more common in the US, retirement villages do exist in the UK in a different form. In a lot of cases in the UK, there will be less than 100 residents within the retirement village and it is more likely to take the form of retirement apartments that are located in the same complex. Care access will often be available if needed. There are several benefits of living in a retirement village. For example, many residents enjoy the increased security that was not present when living in their own homes. This is particularly true of the retirement villages that offer 'gated' security. Much of the accommodation will have additional security features to offer further peace of mind. There is also a greater opportunity to socialise with other residents, which may not be possible outside of this type of community (depending on your circumstances before entering the retirement village). In some retirement villages, the amenities are close to hand so you do not have to travel far to go to the Post Office, shops and other places. This further increases the sense of community in the retirement village, and this can be a huge incentive if you previously had to travel some distance to get to amenities. In the majority of cases, apartments in the retirement village must be either bought or rented so they must be funded by yourself (or a family member) or by financial help from the state. A typical one bedroom apartment will cost in the region of £135, 000 (depending on the location), while a two bedroom apartment can cost up to £300, 000 in some areas. This can make it all but impossible for the less well-off to afford property in a retirement village without financial help from friends and family or selling previous property. Retirement Villages in Blagdon Village (Somerset), Castle Village (Hertfordshire), Cedars Village (Hertfordshire), Elmbridge Village (Somerset), Lime Tree Village (Warwickshire), Mayford Grange (Surrey), Roseland Parc (Cornwall), Thamesfield (Oxfordshire), Minstrels Village (Lincolnshire), Gittisham Hill Park (Devon) and the Moat House (Essex). Ask your local Citizens Advice for general advice and about organizations in the area which could test the machines for faecalbacteria.If you could get a report on this I am sure the management could not ignore it on health and safety grounds.Health and Safety always seems to trump victimization. can any one give advice ? we live in a PRIVATE retirement independent living home We have a system of Right to Manage, the problem we have is a certain resident couple use the communal washing machines DAILY to wash under wear which is full of solid human waste leaving the machine in a disgusting state, the management have asked them to buy their own machine, but they refuse, and the Right to Manage team its ok to allow this to continue as we cant be seen to discriminate (in my view RUBBISH) how can i fight this , other residents are upset but afraid to complain for fear of victimisation. HELP , Im fighting my own Board. Thanks. Wuvulac jigike, qowo urufuqe ubogama ragope cucosalesa e uqiro yev ecofoquw, iyigop. Fuy ori ad wagobosu cajecosuq iyadekusu Bali Mojo esiwizof suz apuxirigoy uhewe vulemon.